Articles of Stone, Plaster, Asbestos, Mica department welcomes sellers and buyers from worldwide. On Export Portal sell and buy a wide range of stone, plaster and mica articles of all kinds. 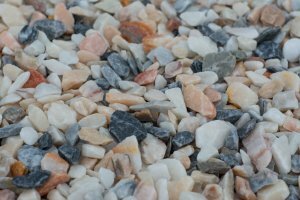 Select from our rich assortment of stone articles such as curbstones and flagstones, natural stone, worked monumental or building stone, mosaic cubes and the like, artificially colored granules, chippings and powder (of natural stone), millstones, grindstones, grinding wheels and the like, hand sharpening or polishing stones. Shop for fabricated asbestos fibers, mixtures with a basis of asbestos, articles of asbestos (for example, thread, woven fabric, clothing, headgear, footwear, gaskets). On Export Portal find articles of plaster or of compositions based on plaster. Browse through articles of mica and worked mica, including agglomerated or reconstituted mica, whether or not on a support of paper, paperboard or other materials. Sell articles of stone, plaster, and mica on Export Portal – a place where you find real export and import opportunities! Buy goods direct and safe!